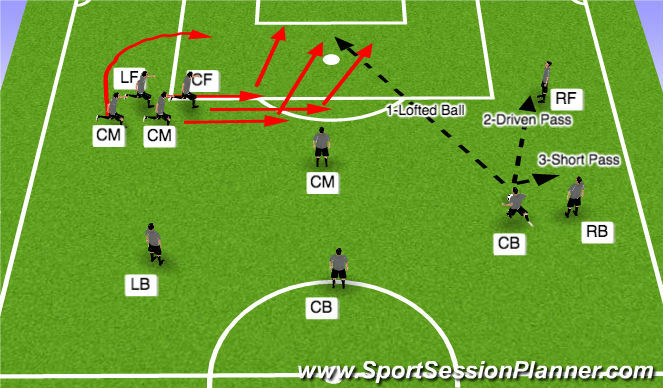 2) Direct ball to OF, OF dribbles at goal or plays ball into box. 3a)Quick Ball to OB, OB dribbles to attack goal or until nearly pressured, play ball into area. 3b) Quick Ball to OB (OF drifts into box), OB combines with OF, or plays to OF.